I received this tee free in exchange for my review. I may receive a commission (with no extra cost added to you) if you make a purchase from the links in this post. Thanks for supporting the time and love I put into this space. Please see my disclosure for more details. 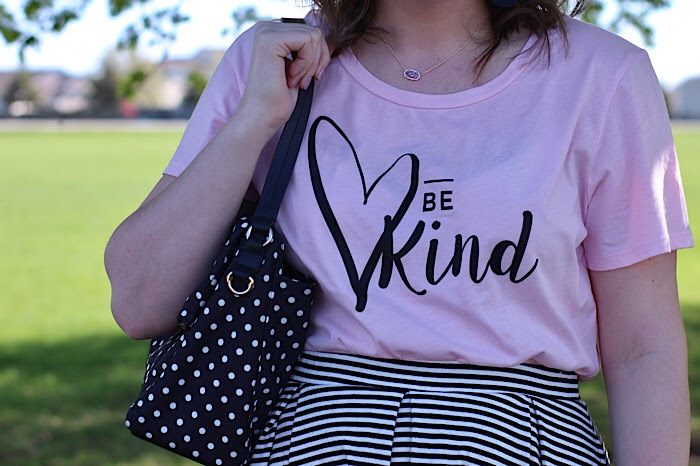 Cents of Style always has the best graphic tees. 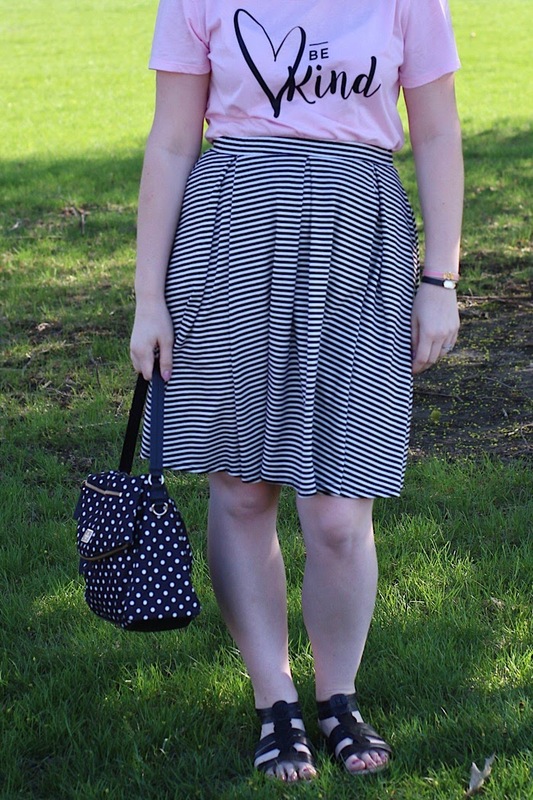 Today I'm sharing how I styled this one and I have a discount code you can use on one for you! You probably know, I'm a mom of three boys. Boys can be rough and tumble. Boys can be emotional and sensitive. Boys can be disgusting and hilarious. In all things, I really want to teach my boys that being kind is so important. When Henry gets upset, I often tell him, it's okay to be upset, but it's not okay to be mean. I hope my boys grow up with a sense that how you treat people is so important. Now, on to the details of this outfit. 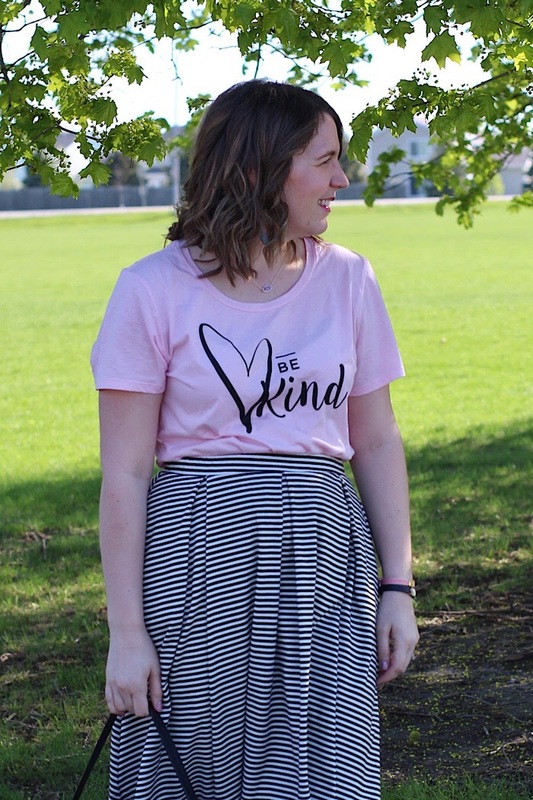 Pastels are perfect for spring, so when I chose this tee, I loved that I had the option for a pastel pink! It looks so feminine and will pair so well with denim, white jeans, and more, but for church, I decided to dress it up with a skirt. 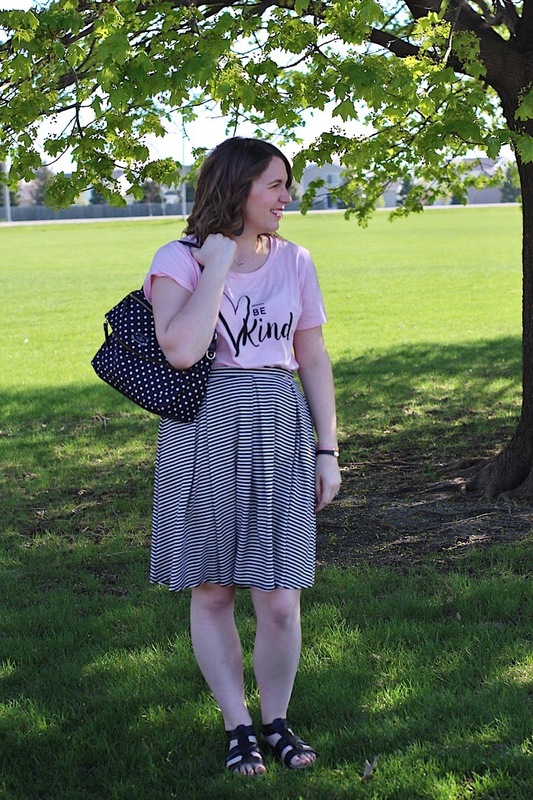 I stuck with black and white accents and tried to let the message of the tee be the star of the show, oh, and a little pattern mixing doesn't hurt either. 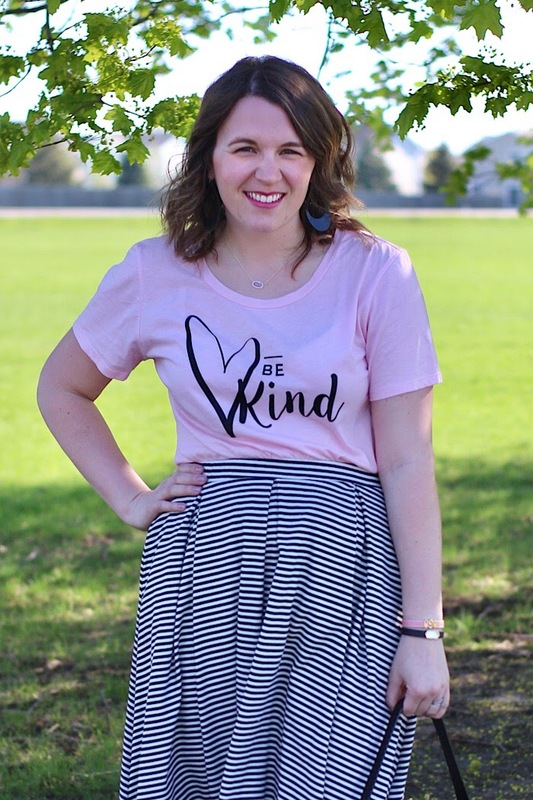 Cents of Style has this tee and many more with wonderful messages on sale starting Friday. The discount code to snag one for 15.95 shipped is BESTORY! 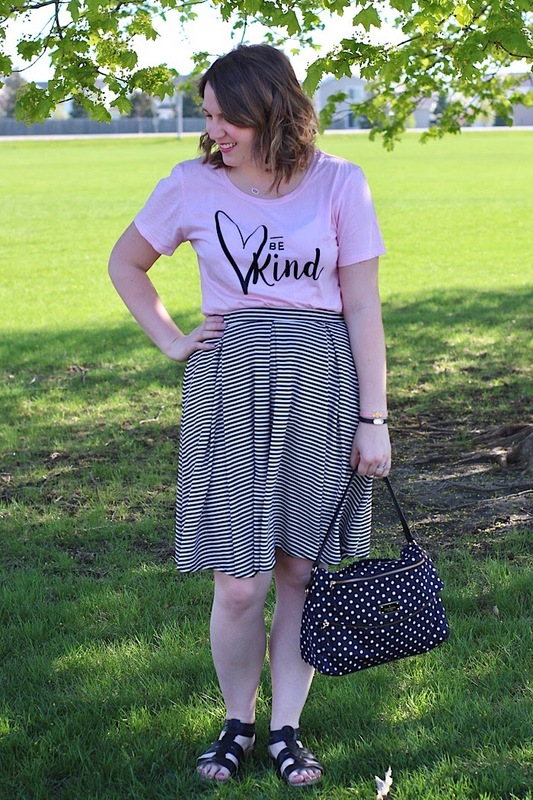 Linking up with The Blended Blog, Jersey Girl Texan Heart, Thursday Fashion Files, Pumps and Pushups, and Elegance and Mommyhood.